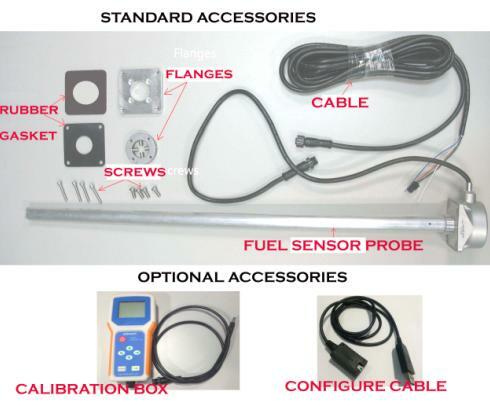 This solution provides high-precision measurement of fuel level in a fuel tank; Gives detailed informaiton about fuel tank refueling, draining, consumption; Prevents fraud or unauthorized use of fuel. Any abnormal fuel level change, the alarm will be generated and the camera will be triggered to take pictures and upload, for you to be easily aware of it and take prompt action. Fuel sensor JT606 has been widely applied to the remote fuel consumption monitoring and management of logistics fleet, genset, buses, coaches, construction machineries, etc. Contact us if you need more details on Fuel Sensor. We are ready to answer your questions on packaging, logistics, certification or any other aspects about Capacitive Sensor、Capacitive Fuel Sensor. If these products fail to match your need, please contact us and we would like to provide relevant information.